If you're looking for something a little different from normal serving boards, this beautiful personalised bamboo board could be just what you're looking for. 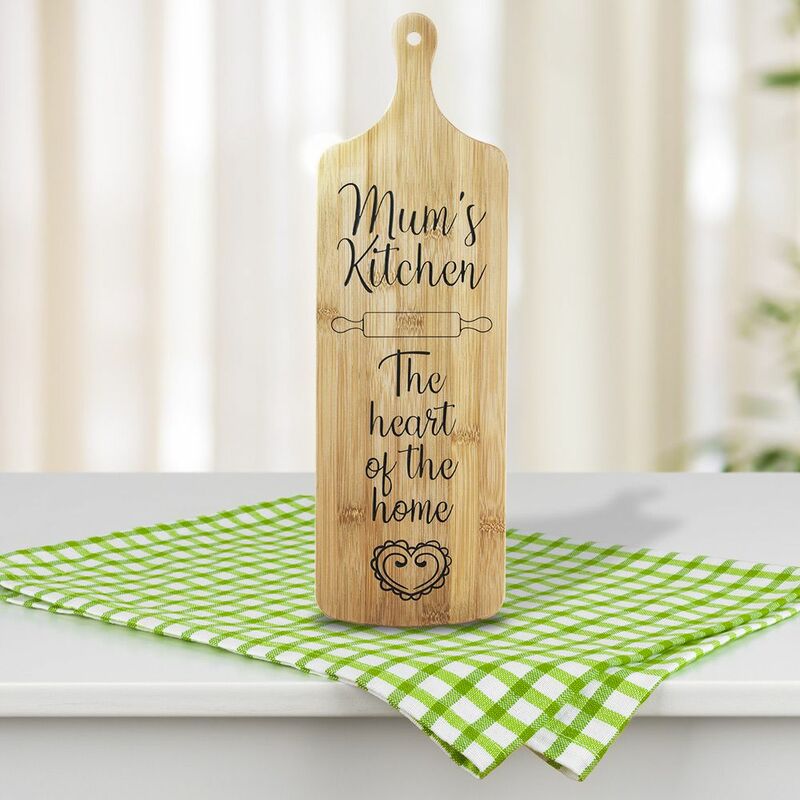 Engraved in our studio, this stunning wall art features the words ''Mum's Kitchen - The heart of the home'' and there's not many truer words said. Ideal gift to let your special mum know just how much she's loved on Mothers Day or any other day of the year. 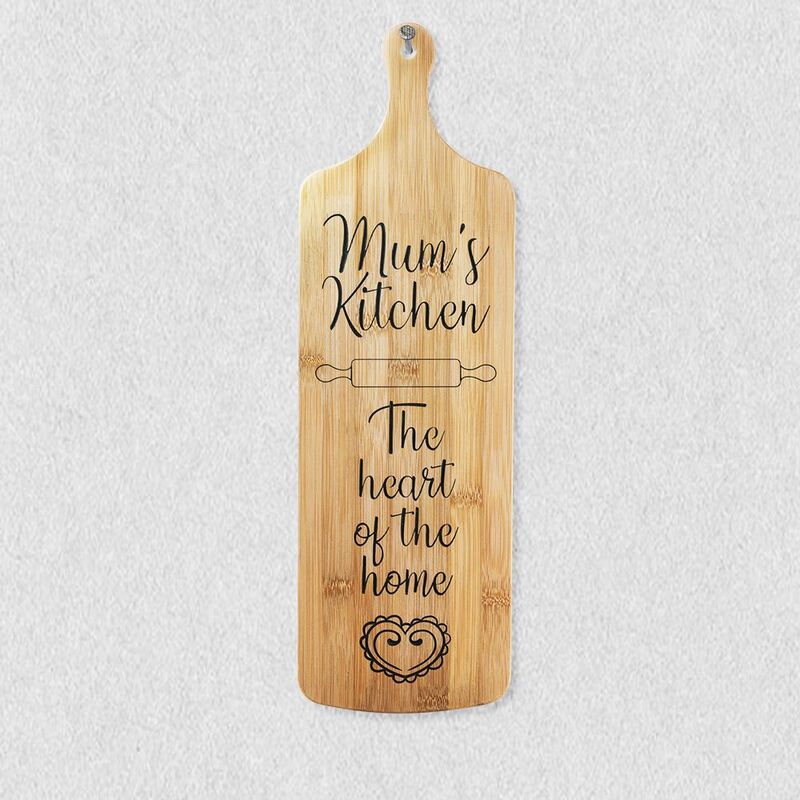 This can be personalised to have any name instead of Mum's Kitchen. Or if you have another quote/motto than that can be added too. Just email us if you have any changes you would like. Simply add the name/text you would like into the text boxes on the right hand side and choose the font style from the drop down options before adding to cart. We will then create the design and email a digital image for your approval. Once approved the item will be engraved and despatched. If you have any other design requirements or fonts then please contact us via email or the online chat and we'll be happy to help. Delight guests with this wooden bamboo serving board.